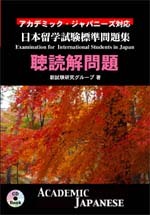 The examination system for screening foreigners wanting to enter Japanese universities as foreign students has been revised. 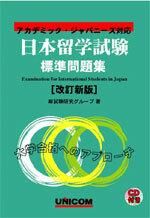 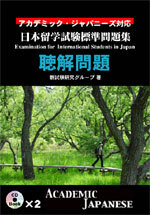 From 2002, there will be only one exam called the "Examination for Studying in Japan". 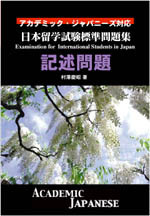 This book contains the exercises for the Japanese test divided into four parts: listening, listening comprehension, reading, and writing. 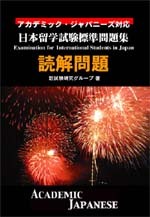 The book will be helpful if someone shoud score high points.